- Shikha Vincent is the founder of SHIKHAZURI in Kenya, a brand that creates culturally inspired jewellery for globally minded women. Shikha is of Indian decent, was born and raised in Kenya, and has lived and worked in Europe, the Middle East, Asia and Africa. 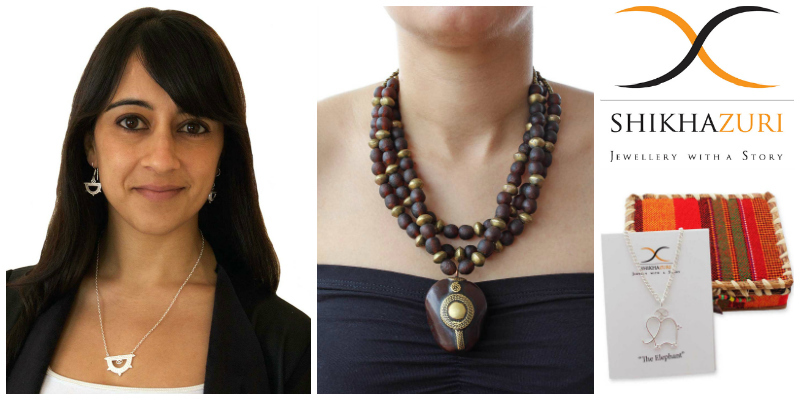 A lawyer by profession but a creative at heart, Shikha's journey into artisan craft began in 2007 when she started making African beaded jewellery to raise funds to support an animal orphanage while working on a conservation project in Kenya. In 2015 she took the plunge to follow her passion and launched SHIKHAZURI. Read Shikha's startup story here.